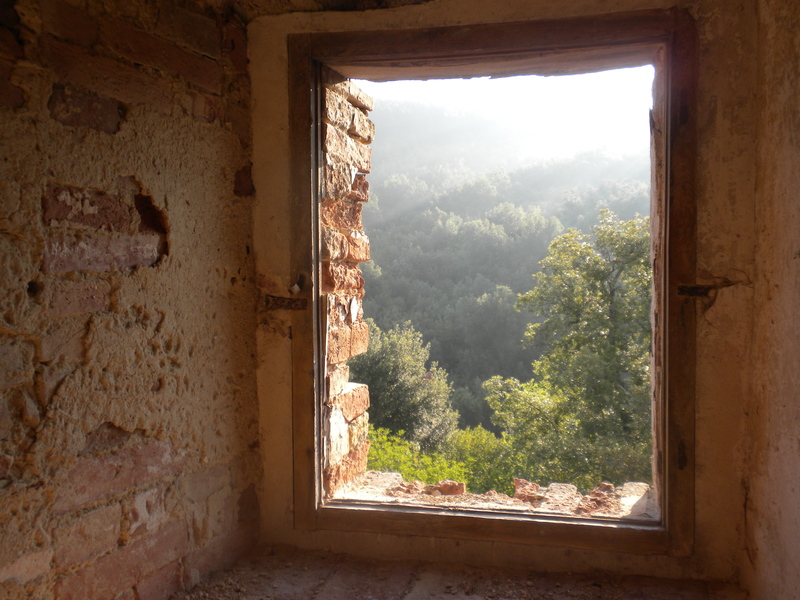 A Room With a View in Tuscany! A view from The Castle Only God Knows in Tuscany. Formerly a Roman military outpost, it now sits alone in a stunning forest setting. It takes about an hour to hike to -and it’s so worth it! My mother and I went to a heavenly writers retreat in Tuscany last July. Tuenta di Spannocchia is a villa located on an expansive beautiful heritage farm that has existed since the twelfth century! Before we arrived at Spannochia, we spent four glorious days in Florence where we enthusiastically took in the museums. Seeing the art I studied in art school was an amazing experience. One of my favourite mental snapshots was watching a brilliant orange sunset going down on the Ponte Vecchio while enthusiastic Italians walked by us with banners and Italian flags singing out songs in support of their team playing in the World Cup finals that evening. A vibrant and memorable night! -the wine, so inexpensive, so good! 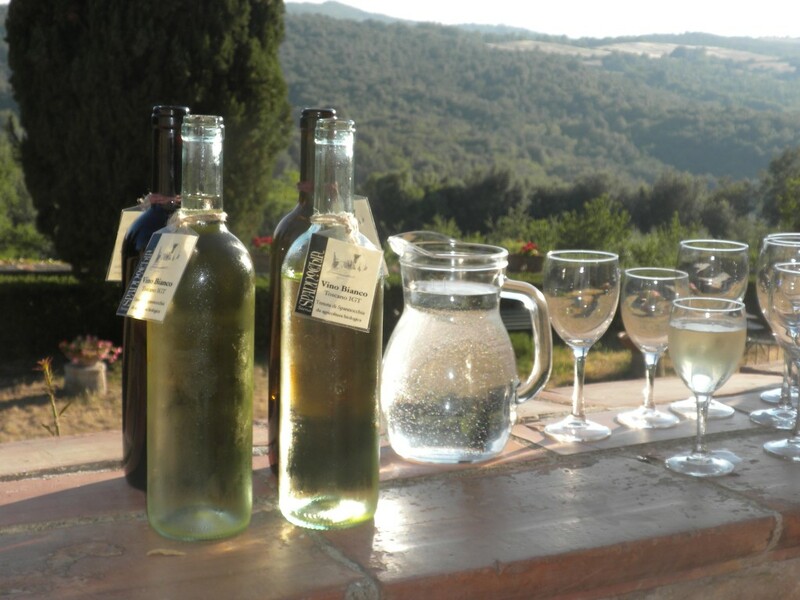 Wine on the front deck at Tuenta di Spannocchia. The property goes out as far as the eye can see. Theresa is an art teacher, freelance illustrator, painter, aspiring kids author, and a fledgling tap-dancer. She is the wife of a nice fella who cooks wonderful food for her and the mom of two young adults, a dog, and a cat.